We have looked at the most recent annual house price change data from three leading indices: Nationwide, HM Land Registry / ONS and LSL Acadata. The results are shown in the table below where HM Land Registry / ONS data is used to show the average house price at regional level from the 2007 peak and the latest average price. 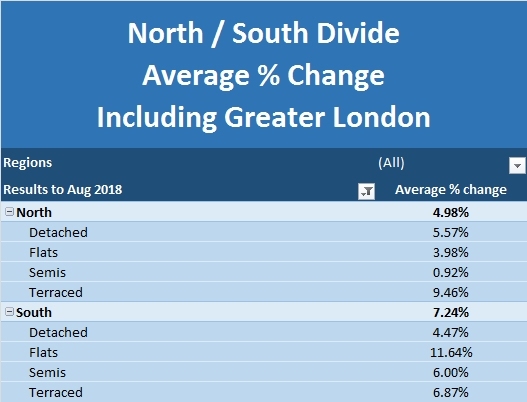 The next column shows the percentage change from this peak to present and the final column shows the average house price change over the past year as derived from the above mentioned three indices. 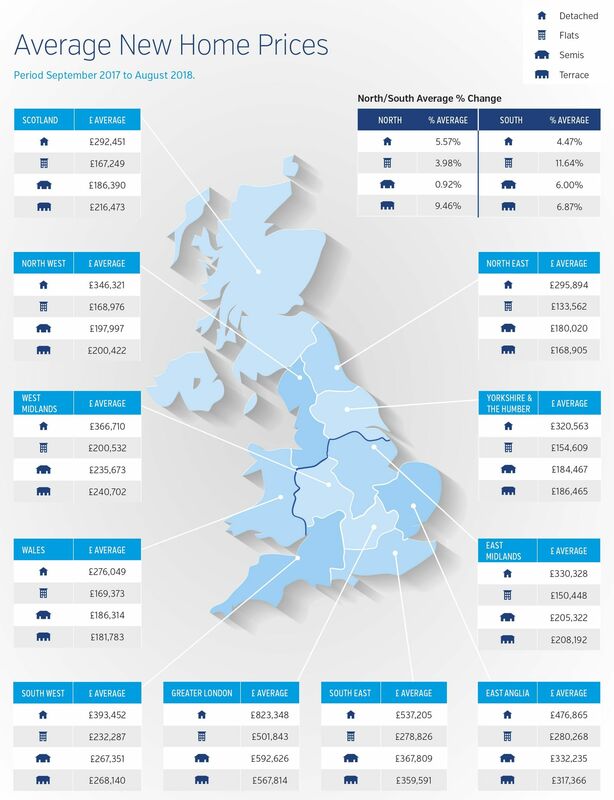 Whilst there are some quite significant differences between the reported price rises for each region, the picture is clearly one of a wave that has now spread out to the regions from London where prices are now around 60% above the level they were at in 2007. The adjoining regions of East and South East have seen growth approaching 40% and moving further out the South West, East Midlands and West Midlands have seen growth close to 20%. The North West and Yorkshire and the Humber are only experiencing house prices that are 5 to 10% above that seen in the last boom and the most Northerly region, North East is still nearly ten percent below the previous peak. At present, based on the average figures, no region is presently seeing negative price change. The East and West Midlands are the strongest English regions, whilst other regions are either cooling down or showing some slow signs of growth.